Psyllium can help relieve both constipation and diarrhea and other intestinal problems. For horses, psyllium husk’s ability to pick up sand and move it through the gut is particularly valuable in the preventation and/or treatment of sand colic. Psyllium can help relieve both constipation and diarrhea and other intestinal problems. It soaks up a significant amount of water in the digestive tract, making stool firmer and slower to pass. Furthermore, a protective film forms on the colon walls. It is vital that a horse being fed psyllium has constant access to plenty of fresh water to ensure that the bulking up and moisture absorbing effects of the psyllium do not hinder the passage of food through the gut. 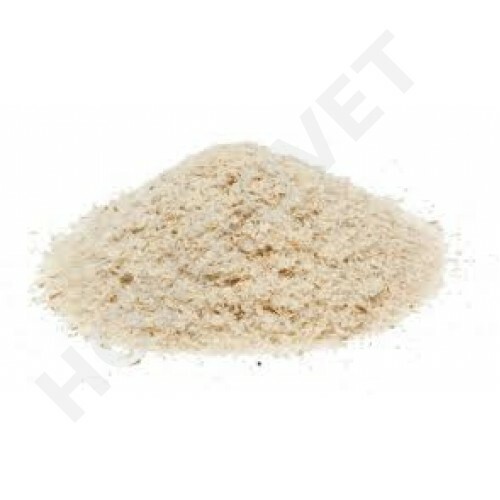 DO NOT feed psyllium continually as a preventative measure for sand colic.